ALL YOU NEED IS JESUS it's that plain and simple. The songs selected for this project focus on our Lord and Savior. Whether you are already a Christian or if you are looking for a life changing experience this CD will introduce you to the one and only JESUS CHRIST! You don't need stuff, ALL YOU NEED IS JESUS! The Missourians & Borderline Bluegrass - Joplin, MO. A great night of Bluegrass Gospel and Southern Gospel. Join us as we feature Borderline Bluegrass along with the Missourians. NORTH BAPTIST CHURCH - 413 E. Wilson Ottawa, KS. GOD'S RESORT - 1501 S Pearl Joplin, MO. CHRIST'S CHURCH OF PERSEVERANCE - 6300 CR 188 Joplin, MO. The brand new album All You Need Is Jesus from The Missourians is officially available! All You Need Is Jesus is the group’s seventeenth album and can be purchased at a concert near you or online in our Shop. 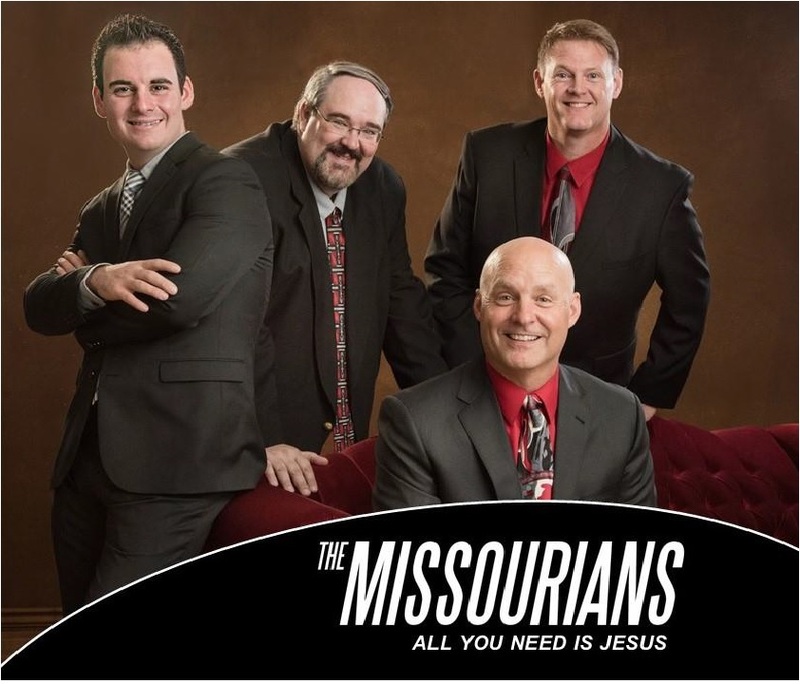 The Missourians are a combination of various musical talents each devoted to God. While their roots are in southern gospel music, this Midwest based group has developed a unique blend that combines southern gospel with a more progressive sound. The hallmarks of the groups sound are their lush arrangements, close-knit harmonies and powerful vocals.